NOTE: This position is contingent upon donor funding. 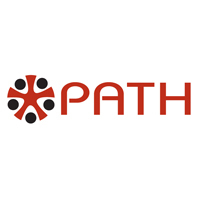 PATH is seeking a Director of Finance and Administration (DFA) for an anticipated USAID-funded integrated nutrition, agriculture, and WASH project in Tanzania. The DFA will oversee finance and accounting for the project and provide support to all technical, program, and operations departments, and ensure that the program operates within the approved budget and is compliant with USG cost principles under 2 CFR 200. The DFA will report to the Chief of Party. Availability of this position is contingent upon release of a solicitation by USAID and recruitment is contingent upon successful award of the project to PATH and final USAID approval of the candidate. Maintain project accounts in accordance with PATH policy and procedures. Develop and manage project budget and pipeline to ensure the project operates within the approved obligation and budget ceiling. Monitor monthly financial performance in relation to budgets and forecasts, obligated funds, commitments, and advances to subcontractors and consultants. Provide detailed analysis of costs, budgets, contract, and funding agency requirements as needed. A Bachelor's Degree or higher in Accounting, Finance, Business Administration or related field. Minimum of 10 years of experience required, including administration of USAID contracts, financial management, direct project management. Experience managing international projects valued at $15 million or more. Demonstrated knowledge and skills in accounting, financial management, and procurement is required. Demonstrated knowledge and extensive experience with USAID regulations and control systems. Familiarity with Federal and USAID Acquisition Regulations under 2 CFR 200. Demonstrated expertise in administration of USAID contracts, financial management, and direct project management. Excellent management, communication, and organization skills are essential. Strong analytical and computer skills, especially spreadsheet and financial analysis. Demonstrated of management of partner budgets and contracts, ability to build relationships. Ability to manage diverse team and work with technical staff. Must have legal authorization to work in Tanzania.